Please note that all our camper forms are available through our online registration system. Log into your account to access the camper forms. The forms gather information about your child’s health, French level, and dietary concerns; this information is essential to us in planning for camp. All forms must be completed by June 1st. Our Parent Handbook includes information about camp, suggestions for getting your camper ready for camp and helping them return from camp. We suggest that parents of first-time campers read the handbook to gain a good understanding of Canoe Island French Camp. If you have any questions, please don’t hesitate to contact us. There are several ways to to get to Canoe Island. Most people find their way to us by driving to Anacortes and walking on the ferry to Orcas Island; we encourage to read about the variety of travel options in “Getting to Camp.” You will indicate your arrival and departure option on your travel form, which you can access via the “account log-in” button at the top of the page. Parents can accompany their children on the ferry to Orcas Island or send them unaccompanied where they will be met by our counselors as they walk off the ferry. Usually parents accompany their younger or first-time campers on the ferry and parents of older campers allow them to travel alone on the ferry once they know the pick-up/drop-off procedures. Arrive at least 30 minutes prior to ferry departure to park your car, buy a parking permit, if you are accompanying your camper, and purchase ferry tickets. Because of the limited space on our boat, we must ask parents to say good-bye to their children on Orcas Island. Parents who wish to see the camp are encouraged to visit during Open House in June or arrange for a private tour at another time. If you already will be on one of the San Juan Islands, contact us to arrange pick-up/drop-off times for your camper. If your child is flying unaccompanied to SeaTac International Airport (SEA), we offer an escorted transportation service for $75 one way or $150 round trip. A CIFC staff member will meet your child at the airport and accompany him or her via shuttle bus to the ferry terminal and on to Canoe Island via the camp boats. If a staff member is already picking up campers from flights, campers who are not flying can be dropped off at Sea-Tac about 11:30 am to join the group for the same fees. The group will usually arrive at Canoe Island French Camp about 5 pm on the first day of camp. To register your child for our escorted transportation service, please use our online registration system. Inbound flights should arrive between 8 am and noon on the first day of camp, and departure flights should leave between 3:30 pm and 6:00 pm on the last day of camp. If additional trips must be made to the airport for your child or if our staff member must remain at the airport beyond 6:00 pm for a flight departure, an extra $50 will be charged, plus any additional travel expenses for the staff member. All parents using our escorted transportation service will need to fill out a travel permission form for the company with whom we contract, Bellair Shuttle. Every airline has different rules about unaccompanied minors: ages, red eye flights, being able to wait alone at the gate, etc. Please check those rules prior to booking your flight and make sure they meet our requirements as well. The CIFC staff member usually cannot stay with a departing camper beyond 8 pm at Sea-Tac International Airport. If you would like to discuss your child’s flght or travel plans, please email us at campdirector@canoeisland.org or call us at 360.468.2329. 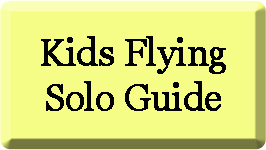 If you will using our escorted transportation service and sending your child unaccompanied on a flight, we recommend you have a look at this website for suggestions on how to make your child’s trip smooth and comfortable.